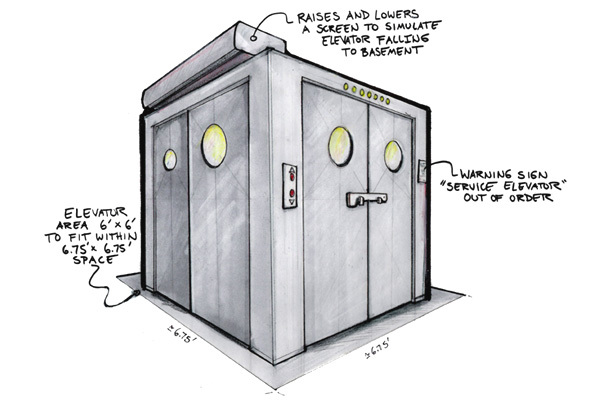 We designed and built a service elevator simulator for a collaborative project between MIT course 2.744 Product Design, 5-Wits Entertainment, and The International Spy Museum in Washington, DC. 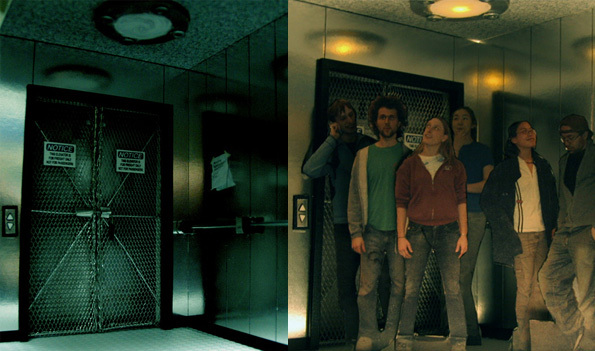 The elevator simulator is now part of Operation Spy, the museum’s new interactive, role-playing adventure. 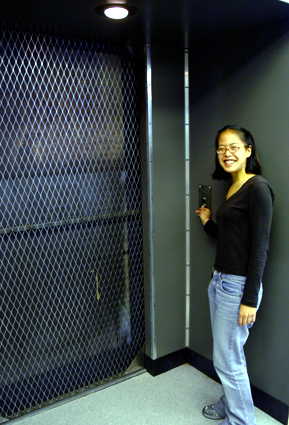 The elevator “connects” a technical operations room on the ground floor of a building with a secret tunnel passageway several stories underground while not actually displacing vertically. 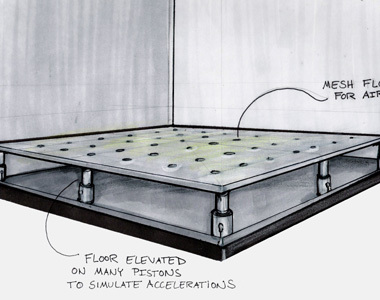 An assortment of effects, including scrolling walls, floor vibrations, sounds, and lighting contribute to the sensation of actually descending multiple stories. 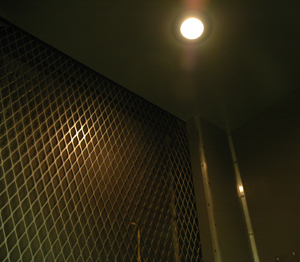 The following showcases the design evolution of the service elevator. The video of our prototype can be seen here (quicktime, 1.2M). Miniature Scale Model: This is 1/12 scale and was built as a looks-like sketch model. Cutouts of the design team were inserted to show relative scale. Photorealisitc Drawings: I thought it would be amusing if the guests had to rotate the "up" button to go down. 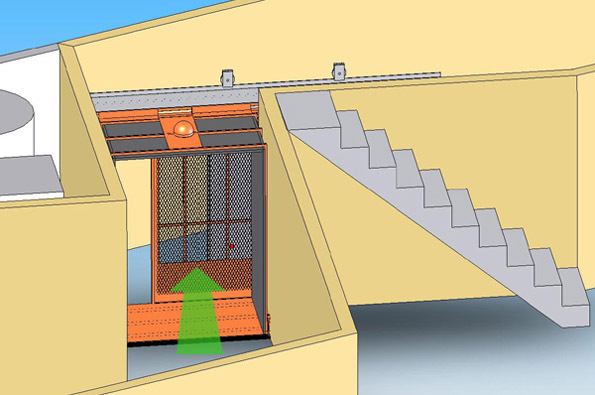 The Service Elevator: The following are elements of the final elevator prototype with scrolling wall feature. 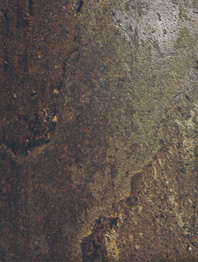 The wall texture which scrolls behind the mesh gate is shown below.